Probably not. I shouldn’t flatter myself. The very nice guy who hosts my blog must have been popular this month as he ran out of bandwidth the last couple of days of January. Anyway… I did have some stuff I wanted to blog about but… I’m tired. My new job is so much fun but also so much work. I’m tired and I’m going to bed. We’ll get caught up later. I should probably tell you, for posterity’s sake, that earlier this month – right after the new year – we had grand ideas of potty training Swee’Pea and TheMonk. We took them to Babies-R-Gonnaget-Us and we picked out a potty seat. We then picked out underwear. Swee’Pea chose Dora and Princess underwear while TheMonk decided on Lighting McQueen, Mater, and the whole Cars Movie gang. We bought the little flushable “Todder wipes” that sit in their own colorful little tub for the extra wiping that was anticipated once our little ones decided to unleash their insides into the proper receptacle. We even bought little stools to help them get up onto their porcelain throne. And this might be a good time to mention that I was not looking forward to this at all. The thought of peeling clothes soaked in bodily fluids off a toddler while suffering through the sobs of anguish was more than I could bear. Besides, I hate it when I cry in front of the kids. But I’m a good dad. And good dads always agree with good moms when they say, “I think we should start potty training the kids.” But my heart was not in it. This is the one time where I am really moaning about having twins. If we had just one, then it wouldn’t be such a big deal because the wife and I could trade off cleaning up the mess. We would have only one mess to clean up and the kid would decide when he or she was ready and we’d all do the potty dance and live happily ever after. With two, it’s messier. With two, one might be farther along than another, not really be ready, but damnit is not going to miss the opportunity to wear underwear with a red car plastered on his behind. Two is more, you see. But after two days of trying, 12 changes of clothes and three carpet washes later, we threw in the towel (We had to, it was soaked in urine). So, no potty dances yet. Unless you count the one I did when my wife admitted defeat. So, do I feel guilty that I wasn’t too into the potty training thing? Yeah, a little. I mean, I’m sure the other kids at daycare laugh at my kids and call them names like Diaper Dude and Daisy Diaper but it won’t be the last time my kids are embarrassed because of their old man. At this rate, I wouldn’t mind just timing my work breaks to go and change diapers during Kindergarten. I mean, I wouldn’t want the other kids to make fun of them or anything. If only they made a size 10 diaper. The title of this post is from an 80′s song. Can you name it? 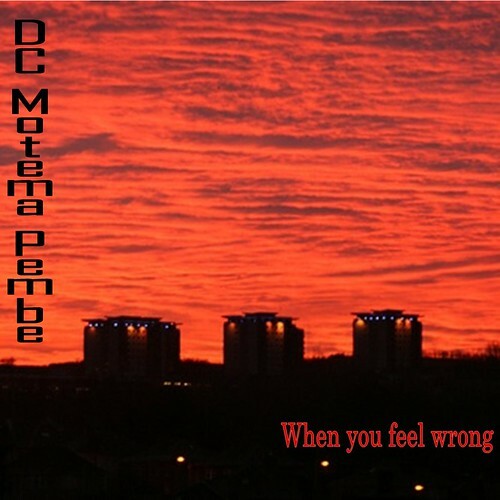 LOS ANGELES, CA – The debut album for the band DC Motema Pembe, titled When You Feel Wrong, is due to be released on Valentines Day in 2008. The duo from Southern California has been prominent in the local underground music scene for the past two years and is best known for their ska/jazz/punk rendition of Twinkle, Twinkle, Little Star. Boy/girl twins, who in real life go by the names Swee’Pea and TheMonk, formed DC Motema Pembe in late 2006 when they felt their musical tastes weren’t being represented on the local kiddy rock scene. The name of the band, as told by their father and band manager, is a compilation of a few areas. “DC”, for example, stands for “Damn Cute” while “Motema” is Swahili for the word “Monk” and “Pembe” is derived from the full name of Swee’Pea whose full name is actually Swee’Pembe. Logistics aside, the album is a bright spot in a routinely boring musical scene. The music itself is an eclectic mix of hip hop, zydeco and pop mixed with old-school sounds that feature ska rhythms interspersed with Gregorian chants. In addition to the music, the lyrics of the songs are equally strong. The name of the album, When You Feel Wrong is also the title track – an anguishing song that details what it’s like to grow up a twin. Other songs on the album, destined for greatness, include the angry song I Got Your Potty Right Here and the haunting song Dora Don’t Come ‘Round Here No More. But the song that will become the signature song of the album has to be the driving force of You’re My Daddy – Now Shut Up. Whatever their motivation, the buzz on the street is that When You Feel Wrong will catapult DC Motema Pembe into the stratosphere alongside such legendary groups like Hanson and Kriss Kross. One can only hope. 1. The first title on this page is the name of your band. 2. The last four words of the very last quote is the title of your album. Click the “New Random Quotations” button for more. 3. The third picture on this page will be your album cover. You then take the photo and add your band name and the album title to it, then post your picture. Please don’t forget to give credit. I received a third email from the Internet Representatives at Home Decorators, and they will be making a “one time” exception and sending me replacement hinges for my piece. I’m not sure what made them change their minds but I have to think that those of you who took the time to email them might have nudged them in that direction. But what if you gave your employees free reign to make a customer’s day? Starbucks calls this “Surprise and Delight” and it is a hallmark of their customer service philosophy. If a customer is not satisfied, they will often go the extra mile to make things right because they know that customers are forgiving if a business admits a mistake and makes things better. So, kudos to Home Decorators for making a “one-time” exception. Let’s hope that someday, going the extra mile is the norm rather than the exception. As many of you know, I work for the Y. This is an organization that people pay to be a part of. They take their hard-earned money and purchase a membership. And when they do, it is extremely important that we take care of them. If they have a problem, we fix it. We go to great lengths – even going against policy at times – to make sure our members feel they are being taken care of. Because I go to such great lengths to make sure our members are satisfied, I am always taken aback when I get really bad customer service. And this week, I received bad customer service. In fact, it was so bad, that I have this incredible urge to tell you about it. First, this summer, the wife and I decided that we needed to purchase some adult-like furniture for our “play room” – which is actually our formal living room. You can tell because it has a fireplace. For some crazy reason we actually thought that if we bought storage that looked less red and blue molded plastic and more wood and metal, that the room could serve a dual purpose of entertaining kids and adults alike. But that’s not what upset me the most. You see, we have two toddlers running around. Toddlers do wild things. Toddlers decide that a door should open one way when it was really meant to open the other way. Before you know it, a door to your credenza thingy has become separated in a way that was not meant to be separated. In short, TheMonk ripped the door off the hinge. To further complicate matters, these “hinges” are specifically made for this piece. They are plastic, springy things that hold the door in place from the top and bottom of the door. These were probably made by some third-world child making 10 cents an hour and looked like you could purchase a couple of these thing straight from the little toy dispensers at the front of the grocery store. After inspecting the damage, I decided to see if I could get replacement parts via the Home Decorators website. After poking around, I found that if you were missing parts you could email them and they would send you replacement parts. The problem is, I wasn’t missing parts. Mine were broken. And it was way past that little 90-day warranty thing. But that didn’t stop me from emailing them to see if I could get replacement parts. I fully expected them to send me an email saying something like, “Sure! We can send you the parts. We’ll just need $X for shipping and handling.” Which I would have gladly paid. So, I fired off an email back telling her how surprised I was that she was offering such crappy customer service and that I would happily shop elsewhere in the future. Oh, and I won’t mind telling all my friends not to shop there too – including the hundreds of people who read my blog on a daily basis. Well, this not-so-veiled threat was apparently passed along because I got another email from someone named Eileen today apologizing at least twice for causing me inconvenience while reiterating their customer killing policy of me being out of luck once we’re beyond that 90 days. She finished her “you’re outta luck and we really don’t care” email with a “We appreciate your business.” It’s at that time that the water I was drinking while reading my email shot out of my nose. Uh, no. If you really appreciated my business, Eileen, you’d find a way to get me those two little plastic hinges so I’d be more likely to purchase my next home furnishing item from your company. But now, since you screwed up, that won’t happen. So, my Internet friends, please do me (and yourself) a favor and DO NOT SHOP AT HOME DECORATORS. Do not shop at the Home Decorators website: www.homedecorators.com. Trust me, you’ll be much better off finding a company that actually values its customers. And if you know of a good home furnishing website, I’d be happy to know what it is. If you were to walk into my house at this very minute you would be convinced that we are the parents of sextuplets. That would be the only logical reason for the amount of child-related items strewn from one end of the house to the other. From my vantage point on the couch I can see: One Dora Backpack, broken crayons, at least 40 pieces of plastic foods, a train set, a chair that looks like a monkey, a chair that looks like an elephant, a blue plasma car (the pink one must be in the other room), a double stroller, a Thomas the Train backpack, 20 different shoes in various child sizes (gotta get rid of some of those), and a rapidly-aging man with graying hair (oh, wait, that’s just me in the reflecting window). How two toddlers who can’t even wipe their own butts can figure out how to move so many toys in such little time is one of the great mysteries of the world – right up with figuring out how the Aztecs and Egyptians built the pyramids – or the appeal of Vince Vaughn. But right now I don’t have time to ponder such things. I’ve got some cleaning up to do. Can you guess what’s 80′s song the title of this post came from? The correct answer from yesterday’s post title is “Parent’s just don’t understand” by DJ Jazzy Jeff and The Fresh Prince. Thanks for playing?! I have been on my new job for over a week now and I’m frickin’ tired. I’m not sure if taking two weeks off before starting this job was such a good idea. I mean I go from taking more naps than Swee’Pea and TheMonk to full on, non-stop, go-go-go, days. For the past week, upon arriving at home, I’d spend what little energy I had playing with the twins, put them to bed, eat a little dinner and… do more work. As you can imagine, that left little time to blog. So tonight I decided to get back on the exercise bandwagon as the holidays really messed up my schedule (too many naps will do that to you). I did a fast workout (had to get home in time for American Idol) and I already feel energized. We are getting ready to leave. It’s 7:30 a.m. and we are starting the ritual of negotiating what Swee’Pea and TheMonk can take with them to daycare. TheMonk finds his Lightning McQueen car, his stuffed Monkey and his Thomas the Train backpack and he’s ready to go. She can’t find what’s she’s looking for. She begins throwing the toys over her shoulder as she rummages through the massive box that holds her food. I dodge a carrot, two french fries and a cucumber before I ask her what she’s looking for. This seems to make sense to her. She looks up at me, smiles and laughs out loud – seemingly aware of how silly she must look. “Yes!” she laughs. I push aside the other hamburger bun, look under a tomato and find… a piece of yellow cheese. I hand to her as she squeals with delight. She grabs it and puts it in her Dora backpack. We stand up and I reach out to hold her hand to begin walking to the garage. “Daddy, you found my cheese.” Swee’Pea tells me. “Okay, Daddy.” she says as we head out the door to face another day. We are taking an evening bath. Daddy is outside the tub with wash cloths in hand. Inside the tub are Swee’Pea, TheMonk, and a rubber ducky. TheMonk: “Ruff, Ruff”! he shouts in agreement.